Yes we do love to be beside the seaside, especially when we are lucky enough to move from mist and drizzle to sunbathing weather in the course of 24 hours and changing coasts. The New England Bay site is one of our favourites, but even more so on a blue skies day. Considering we are 2 hours off from the nearest motorway at Gretna Green it is surprisingly busy on site being late September. We weren’t able to pitch on the front row nearest the sea, but going one level back does give a cracking good panorama of the whole bay from the front window so we are happy with that. 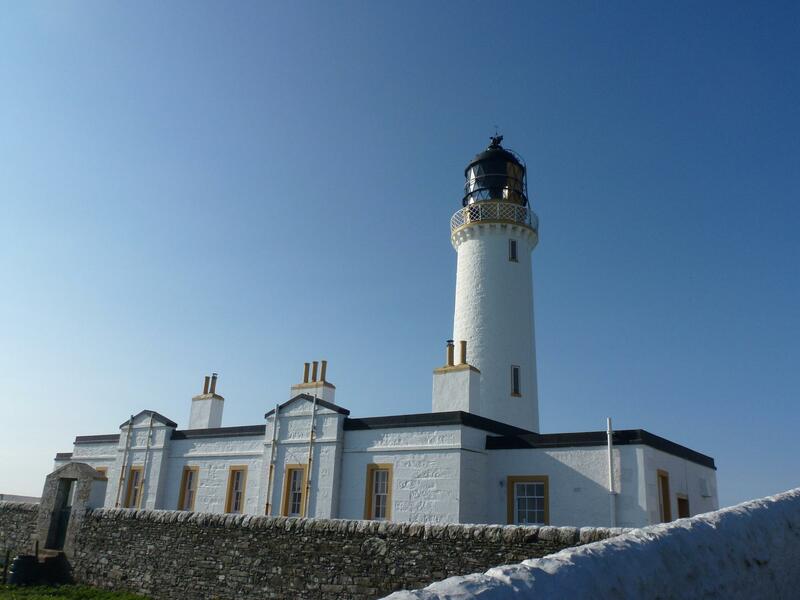 We popped down to the further point South West in Scotland this morning, the lighthouse at the Mull of Galloway. From there we could clearly sea the Isle of Man and Northern Ireland and in the other direction a stunning view right around Luce Bay to Burrow Head. The exhibition area was open but we have been before so made do with a wander around the outside and a walk over to the RSPB information hut, keeping well away from the cliff edges. We have climbed the lighthouse steps before, so also decided against a repeat performance of that, instead we plumped for coffee in the cafe and half an hour looking at the views before heading back through Drummore, stopping for a look at one of the many First and Last post offices we have come across in Scotland over the years. Here despite a fair few leaving this morning the site is steadily filling up again with a constant stream of arrivals all afternoon. It’s also absolutely heaving with rabbits, they are everywhere you look and do not seem that bothered by humans as they just shift along a foot or two if you walk anywhere near. 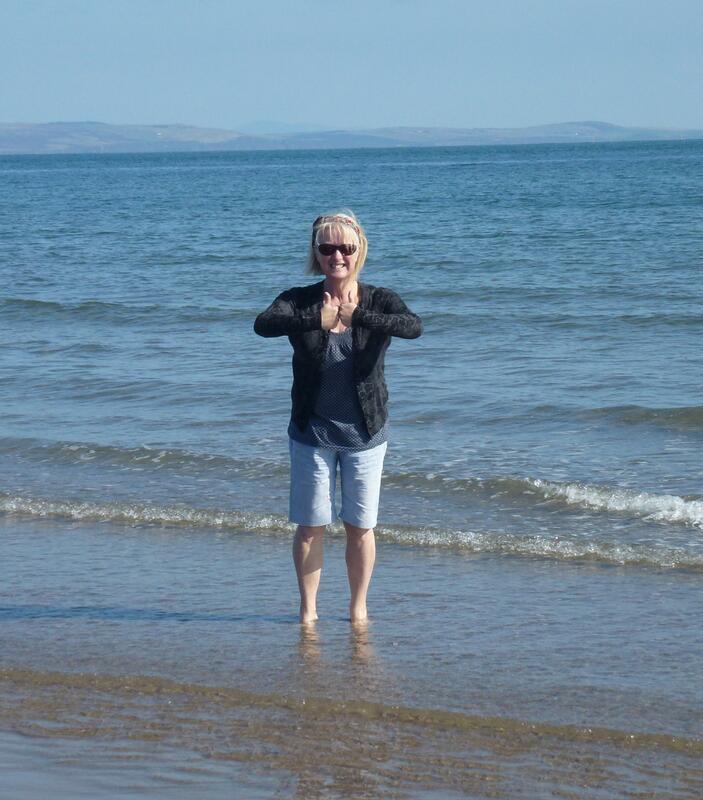 We have been for our dip in the sea, to ankle level only but to be fair its warmer than expected. We whiled away the rest of the afternoon sat in the sun with the newspapers after kite flying was called off due to insufficient Scottish sea breezes. 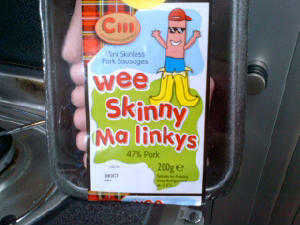 This brings another tour of Scotland to an end. We will be sad to leave as always but now have a fairly hefty list of jobs that need doing on the van before we head off in November, so we probably should start getting organised and stop wandering off on holidays. 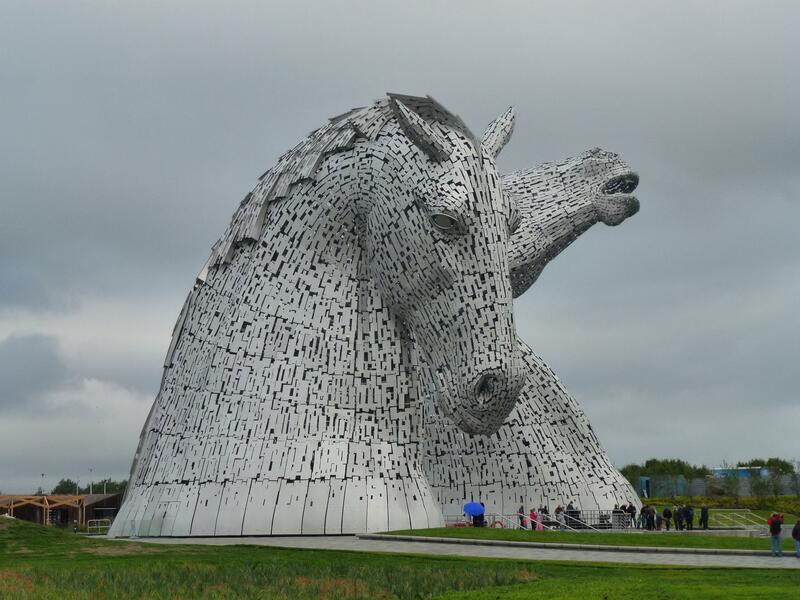 The Kelpies – Scotlands new icons? Having left behind the mist of Aberdeen we headed down the coast and spent the night at the CC site at Glenrothes. A nicest enough site, a bit odd though to have blocks of flats looking down on the pitches at the back, we moved round to the side and had a quiet night with the exception of rain bouncing down through the trees. We couldn’t decided on whether to visit Stirling or head a bit further South for the next couple of days. 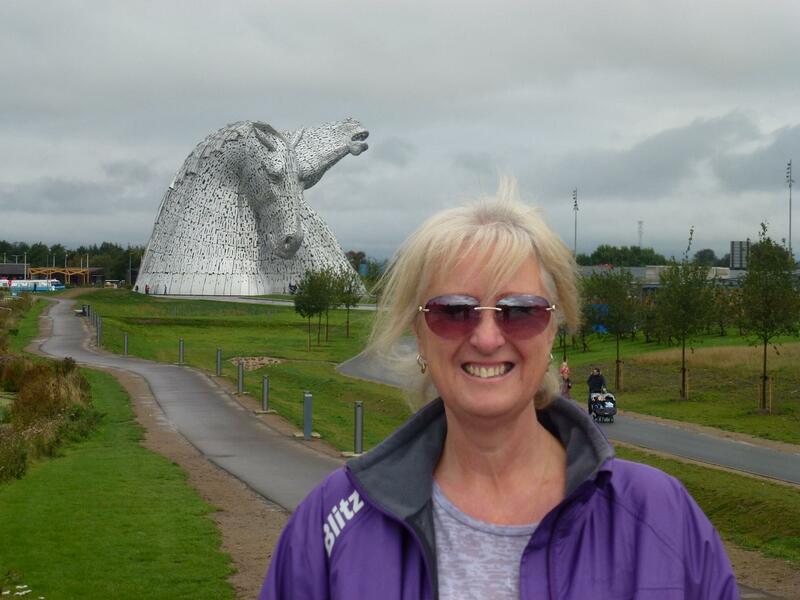 Whilst scanning Google for what was new to see we came across Helix Park and the Kelpies sculptures by Andy Scott. It meant driving down to Falkirk but we decided we may as well move South as these sculptures are something I desperately wanted to see, so we headed off first thing and were on Helix Park by 10am. Very kind man on the carpark opened the barrier and waved us through to the coach park, as close as it gets to the entrance. As soon as we left the van and walked onto the canal bank they were there in all their stainless steel glory, looking over the new extension to the Forth & Clyde Canal. Nothing can prepare you for the sheer scale of these sculptures – both are 100 ft high and they look as if water is running down them (it isn’t its the way the steel is cast). They are in a word awesome, the sheer scale and beauty is hard to capture in a photo, there is a turning circle between them for canal boats and it looks tiny but full sized boats were turning whilst we were there. Named Duke and Baron after the Clydesdale horses that were the models you can walk right up to them and we paid an extra £5 to go inside Duke – nearly as amazing to be inside as outside. 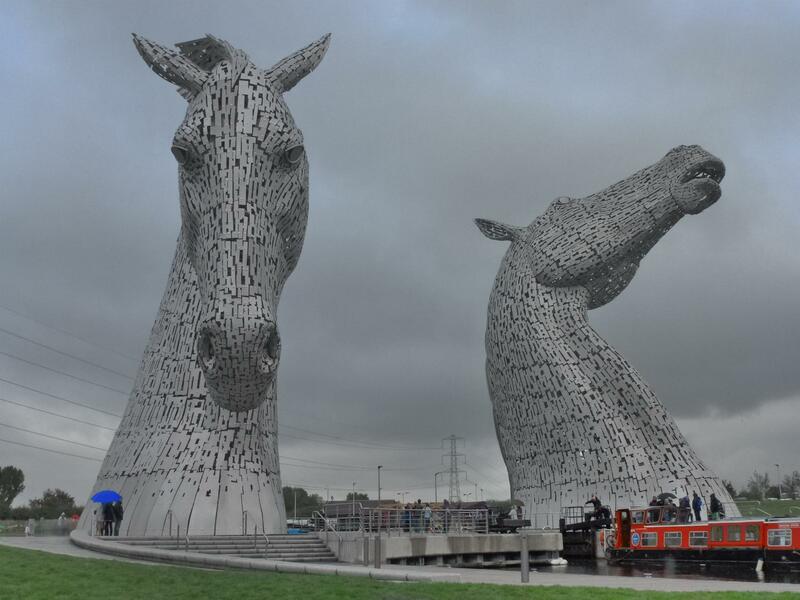 The tour guide told extensive tales of the mythology of the Kelpie in Scotland and to be fair had a good knowledge of the creation and building of both the canals, the recent canal extension and the horses heads themselves. This surely will become an iconic image of Scotland. You drive past them on the M9, literally a couple of hundred yards from the road but its so worth going round to see them up close. We didn’t stay long enough to visit the Helix Park properly but with over 350 hectares of parkland, wetland, lakes and newly planted woodlands its somewhere to spend a day at least and its on our list to visit in more detail next time we are here. We can honestly say this is one of the, if not the, most incredible thing we have been lucky enough to visit in the UK. 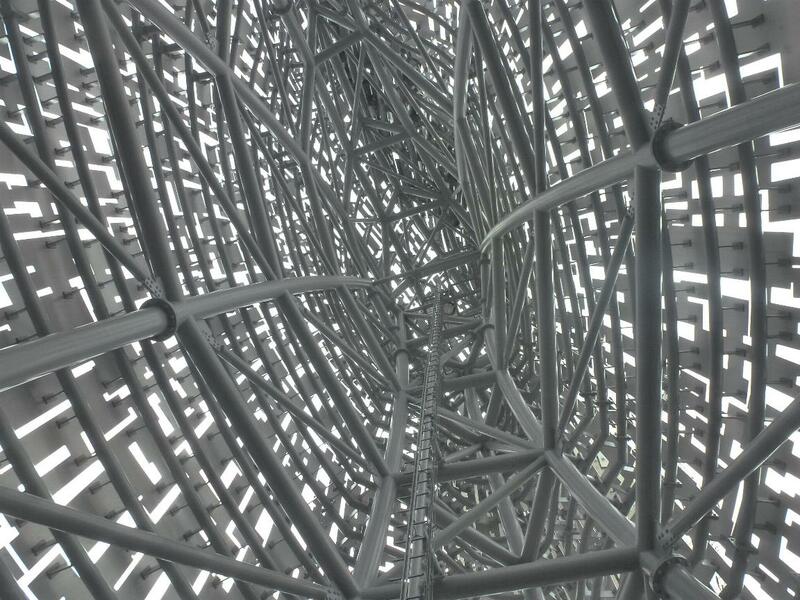 And, on our regular theme of budgets – this is free to visit, no parking charges, no charge to go right up to the sculptures (you only pay to go inside). Tuesday morning we decided a proper look around Nairn was called for. Drove down to the golf course and found a totally empty car park next to the beach. 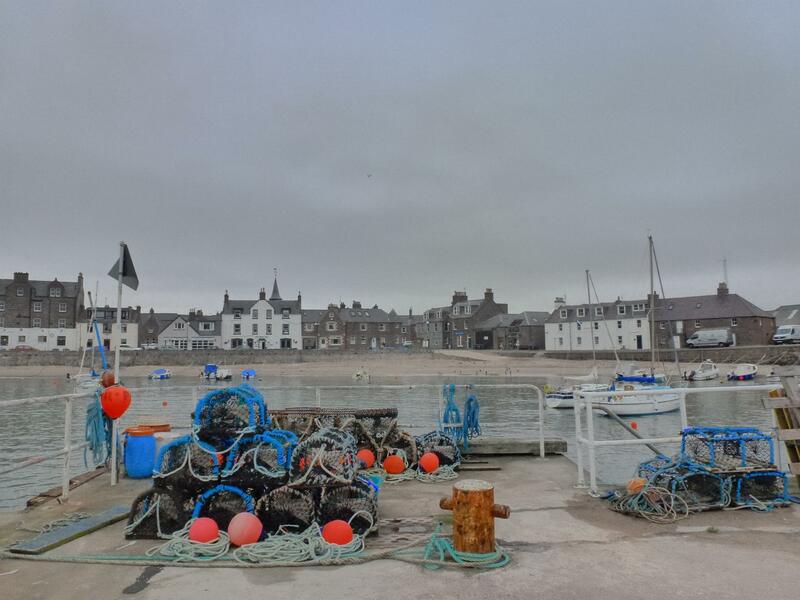 We walked through Fishertown which is between the sea and the main town, a maze of old fishing cottages all built with the gable ends of each terrace facing the sea. 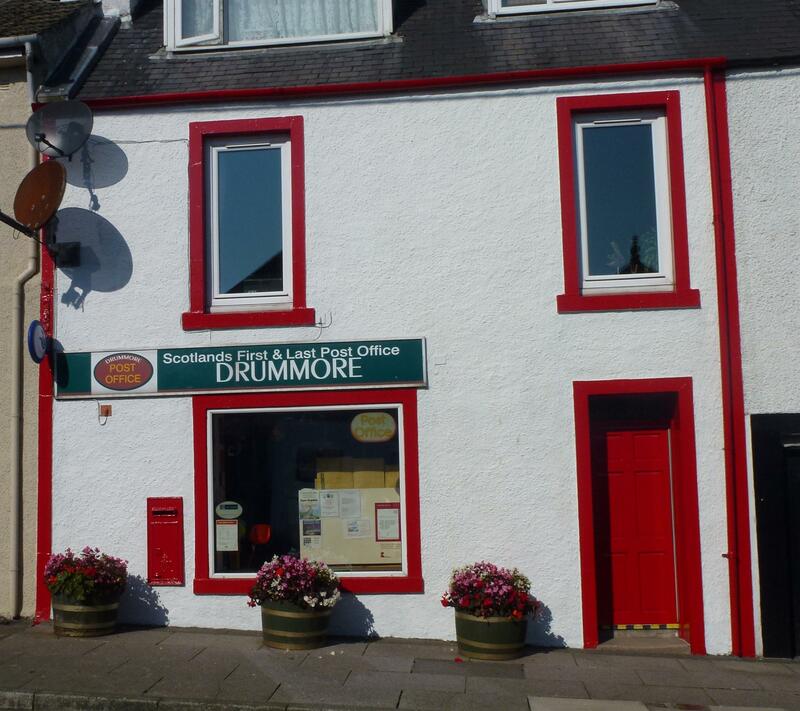 The main town is over the main A96, what to us is a typical Scottish town with a few of the High Street ‘names’ but more independant shops. We walked back via the harbour, stopping off to coffee and scones at the Basil Harbour Cafe, very quaint and very small, a bit like a hole in the wall with lots of tables tucked in. From there we had a wander down the beach, now we get why its classed as a holiday resort – beautiful white sand for miles. Having agreed to head for Stonehaven we decided on a route not previously travelled by us. 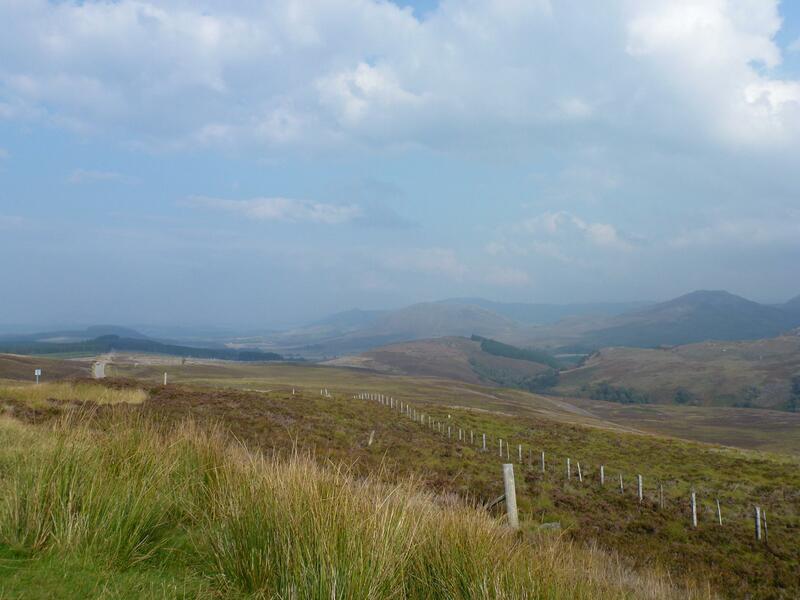 Headed straight down to Grantown on Spey and from there took the A939 through Tomintoul and onwards to Ballater. Yet another amazing road discovery for us, made even better by the total lack of traffic – we saw a handful of cars all the way over. Spectacular views over the mountains and only the one town in miles of absolute wilderness. We pulled over at the Lecht Ski Area for lunch, the mist rolled in and there was only one other car there, sure it would be amazing in the season but a bleak place today. 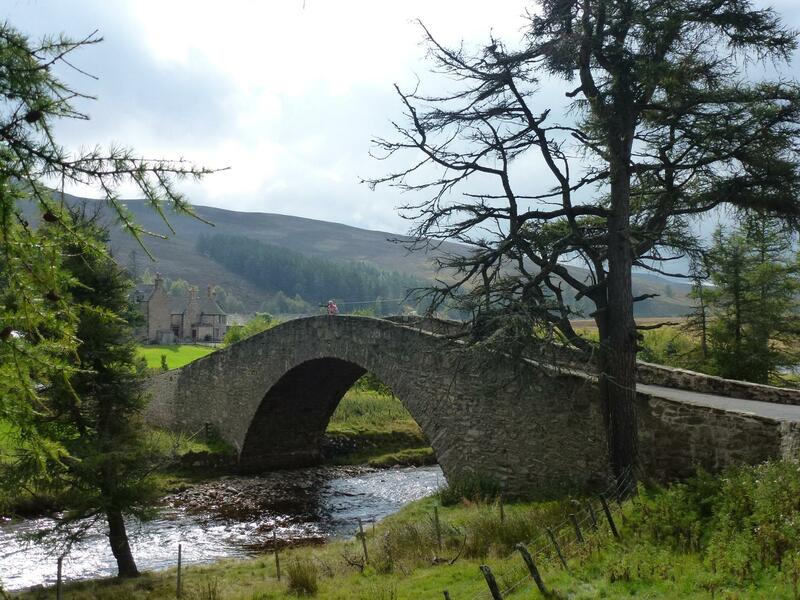 As we were nearing Ballater we came across a very splendid hump back bridge at The Bridge of Gairn, at only 6 metres we cleared it easily, if slowly. Worth parking up for a walk back and a few photos. Stonehaven is a small and quiet little town just 13 miles outside Aberdeen. The CC took over the former corporation site just over a year ago and totally revamped it. Now its all shiney and sparkly new, fabulous facilities block, decent size hard standing and just a few steps away from the beach. The outdoor lido pool is next door to the site, its just closed down for the year. Shame as they heat the sea water to 29 degrees from April onwards so we were hoping for a dip. Instead we walked along the bay to the harbour. There is a promenade and then a boardwalk all the way round, very popular with a few cafes along the way to stop for a break. The harbour itself is on the sheltered side, a few pubs and a cafe but nothing much else to see there. As the Scottish mist was falling we decided against the 2 miles walk up the hill to the castle, will save that for another visit. 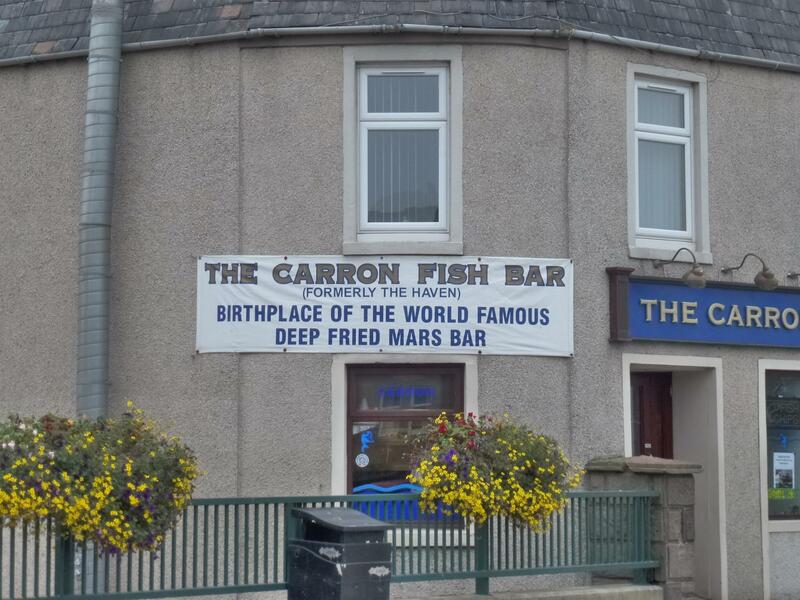 As we walked back through town we came across The Carron Fish Bar – home of the world famous deep fried Mars Bar (the full story of how it was invented, first fried and then made a worldwide phenomenon is on the wall). Of course we had one – would have been rude not to!! so its something we have experienced, it wasnt as bad as we imagined but we don’t feel the need to eat another one anytime soon. Even though its been a very grey and misty couple of days here the promenade is always really busy. There are cars parked all the way along and people queining in the chip shops and the ice-cream shop, then sitting in there cars eating their spoils before walking it off on the promenade. Today we took a bus into Aberdeen, aka Furryboots city, a bargain £5.60 each return on a posh bus with leather seats and all. The city was busy but certainly not heaving, with it being referendum day we thought there would be campaigners everywhere but we only saw one little stand for “Yes” giving out badges. We popped to the Tourist Info and picked up a map and set off to explore a few sites in New Town. First stop Belmont Street for a coffee and early lunch, then a wander down to Marischal College, a gothic building that looks hundreds of years old from a distance but as you get closer looks quite new (have read up and built in 1835, so they just must keep it really clean and polished on the outside). Next it was the Toolbooth and old Gaol on Union Street, to be fair it was free but there wasn’t that much to see, and the stone spiral steps were terrifying. We both loved the wide main streets of the city and the fact the buildinga were not too high, gives the city a lovely light feeling even on a grey day. We walked up King Street towards the University to see the Old Town (as the New Town has been there since the 12th century, the Old Town must be really old?). It was slightly further than we thought so when we got there we managed half an hour around the University buildings and cobbled streets. There are plenty of alleyways (wynds) to explore and the university buildings themselves are well worth a look around. The Kings Museum building is worth the walk alone. With it being freshers week it was fairly busy everywhere so we decided on a bus back to the New Town for a half an hour browse around the shops before we headed back to Stonehaven, where we resisted the temptation of more deep fried confectionary. Our destination for today was Inverness, the road hugged the South side of the loch most of the way up with great views, especially over to Castle Urquhart. 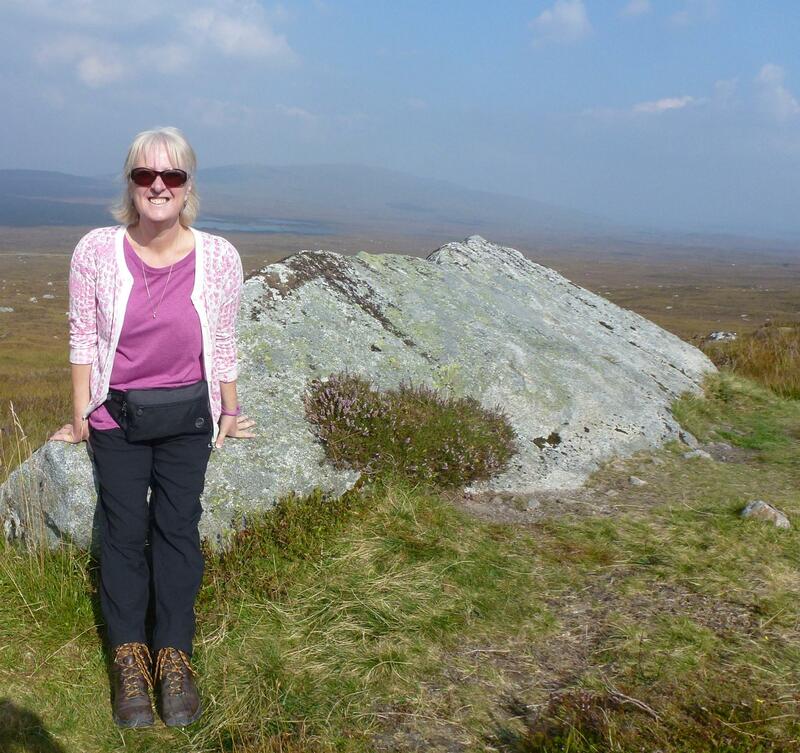 When we arrived on the outskirts of Inverness we started to change our mind about visiting – no park and ride, nowhere that looked good to leave the van and it was beginning to drizzle. Walking round town in the wet was not the most appealing thought so a quick check of the maps to look for something else to close by came up with a couple of new options. 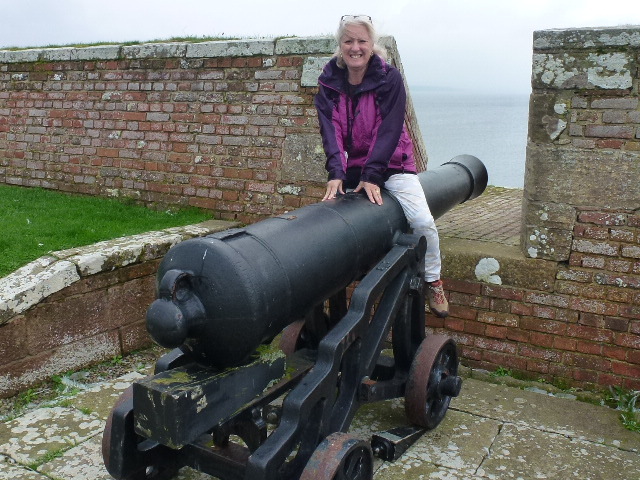 So with very little debate we decided Fort George was a much better option and headed up the coast. On arrival first impression was quite good, we had seen the fort a few years previously from the Black Isle and knew what the outside looked like so we prepared for a fort that was not a pile of old ruins, we were not aware that it was an active military base or just how well preserved it is. Parking up outside we headed for the ticket booth and were pleasantly surprise at good entry prices of less than £9 each, including an audio guide. As soon as we walked over the Principal Bridge we were totally awestruck. This is a fort like no other we have visited or heard of. 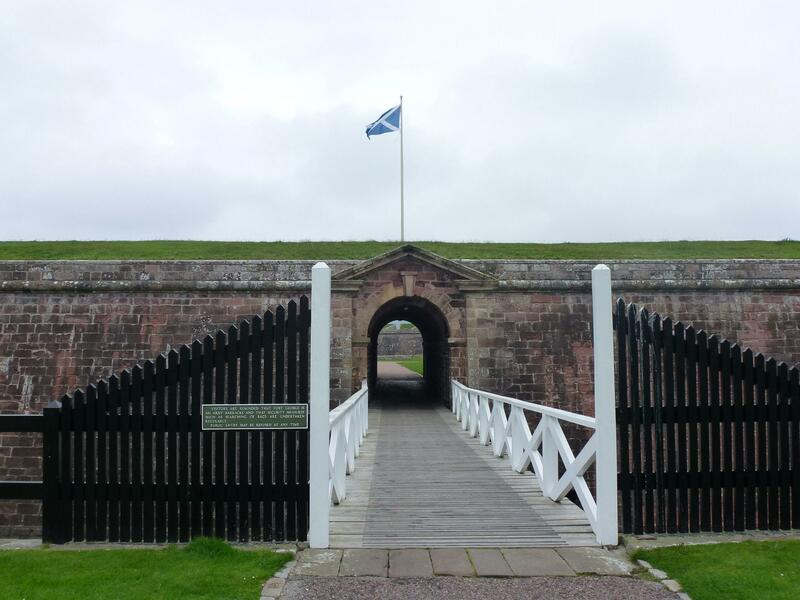 It covers over 42 acres (which is 40 football pitches they tell us), The ramparts around the fort are just over a mile in length and you can walk around them, incredible views over the Moray Firth and back towards Inverness. 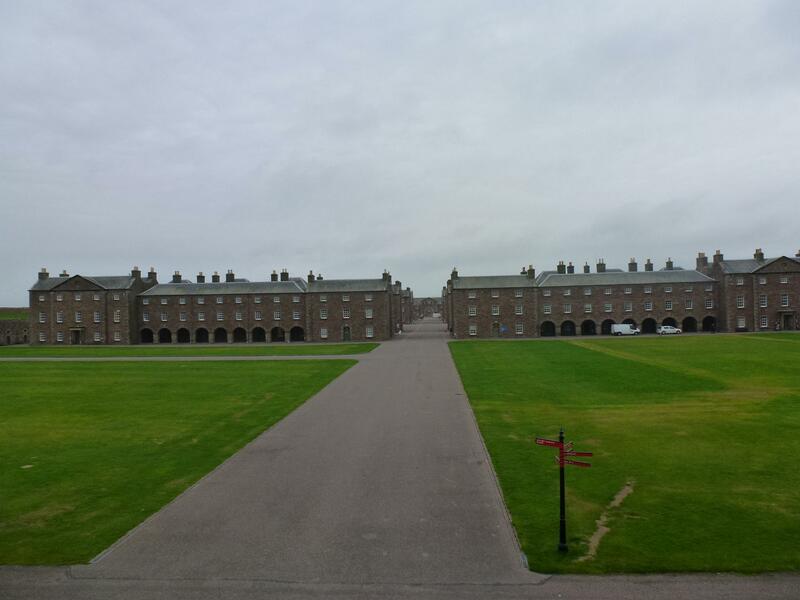 All of the buildings are in fairly pristine condition and its kept in a way that only the army keep things – hardly a blade of grass out of place. 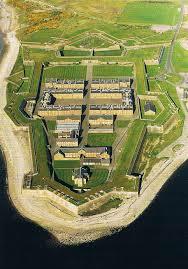 All of the buildings are in use, some by Historic Scotland but the majority by the Black Watch being the regiment currently stationed there. 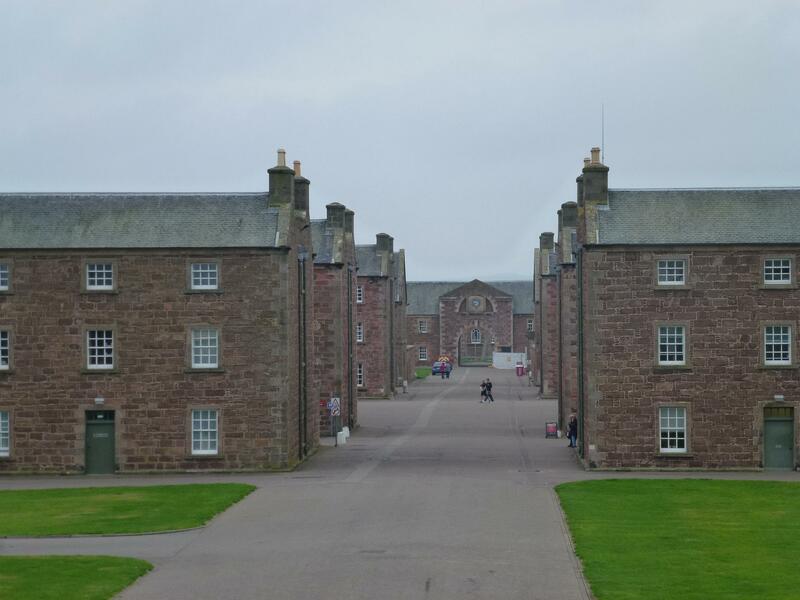 Fort George is known as the finest example of 18th-century military engineering in the British Isles. The building of the garrison was started in the aftermath of the Battle of Culloden (1746) and took over 20 years to complete, it has never been attacked and looks pretty much as it did when it was completed, this has to be another of Scotland’s finest kept secrets, enough to see to spend 2 or 3 hours there and then some more time on the coast itself. 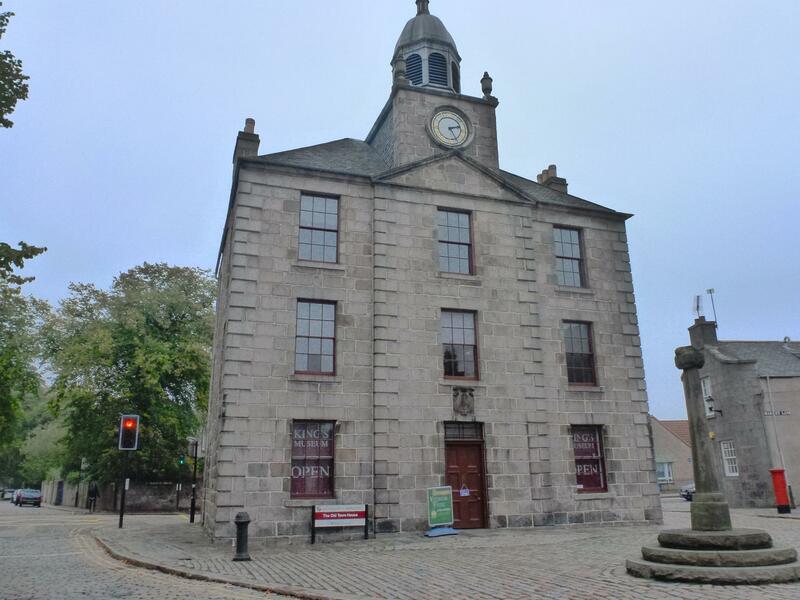 There are a few changes of course, the mess room has a large Costa Coffee franchise complete with 5 ft coffee cup outside the door, there are a couple of gift shops and one of the former Governor’s houses has been converted to a Regimental museum of the Highland Regiments. This itself was worth the entry fee, a good hour to walk round and see the history of the regiments that make up the current Highland Regiment, including a room where you can dress up in the Highlanders uniforms (of course we did!!). From there it was just a quick hop along the coast to Nairn, a lovely old fishing village now better known as a seaside resort. We parked up on the harbour for a bit of late lunch and watched the mist rolling in, we sat for a while on dolphin watch but they must have been well hidden in the very low cloud. We are now at our overnight site, the C&CC just outside Nairn. Its a forest site set amongst the trees but just off the main A9, very busy with campervans and motorhomes, possibly due to them offering a very good rate at the moment compared to the other club sites in the area. Saturday morning we were woken early to the sound of many hobbling walkers rounding up their kit and tents and setting off on the Highland Way. The cloud was low so the view was well hidden which put paid to plans to go up on the chairlift 🙂 . On the downside we had a midge squatter in the van last night – I have bites all over my face and neck, from tomorrow its marmite for breakfast as they apparently don’t like the taste it leaves in your blood. We have slathered on Avon So Soft which we are forever hearing is the ‘repellent of choice of the army’, well its done nothing for us, maybe it needs khaki to get it to work. We decided to up and away in search of better views, a breeze to blow away the midges and less cloud. As soon as we got down to Ballachulish the sun was shinning on Loch Leven and we headed for the mecca of all campervans and motorhomes in the Highlands – Fort William. True to form it was swarming with every size and shape of motorhome, stocking up with provisions at Morrisons. We always feel welcome there, carparks set aside for motorhomes and no height barriers on the loch carparks. Sadly the town itself is not the most scenic we have seen so as soon as we had stocked up we headed off to search out some new tourist hotspots. 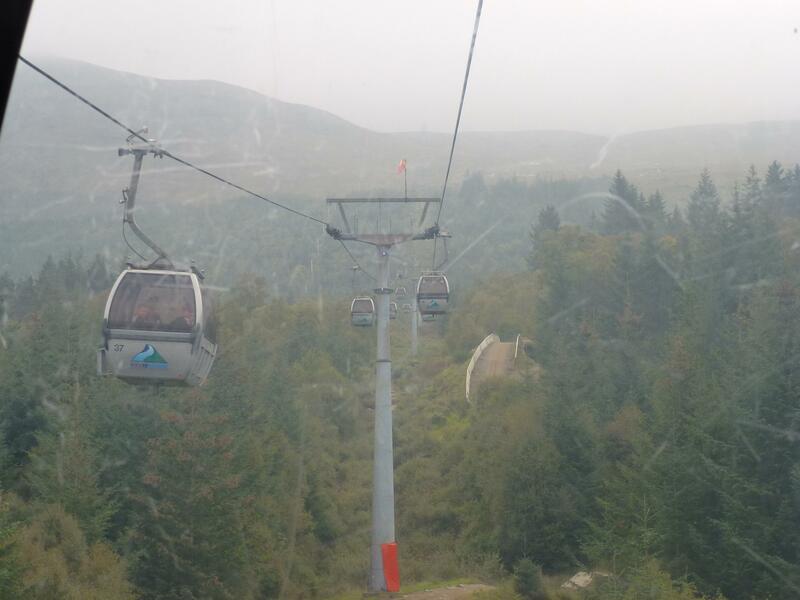 Just 7 miles outside of town is the Nevis Range complex and having never been before we decided to investigate. First impressions were good, enormus carpark, plenty of space to park and its free (they ask for a donation for parking). 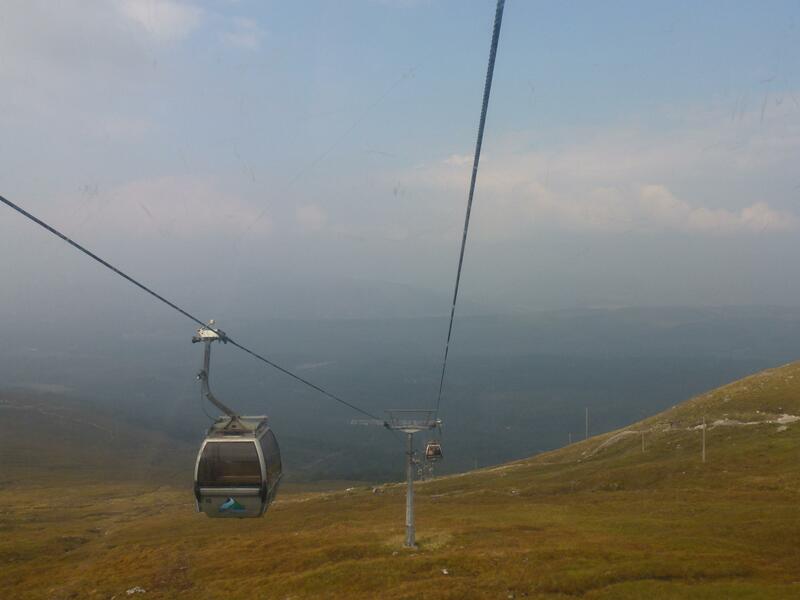 The only mountain gondola in the UK is here, taking you up Aonach Mor on the Nevis Range. There were literally hundreds on mountain bikers taking their bikes up hooked on the outside of the gondolas, the downhill from the top is the only World Cup Downhill course for mountain bikes in the UK, love the warnings on the description “deisgned to be ridden downwards” God alone knows who the hell could ride it the other way, 2.8 km and they come down it quicker than the gondola. Anyway, back to the gondola and my thought that I could conquer the fear of being suspended on a bit of wire up a mountain. We looked at the gondolas and to be honest they look old and not very safe to my untrained eye. 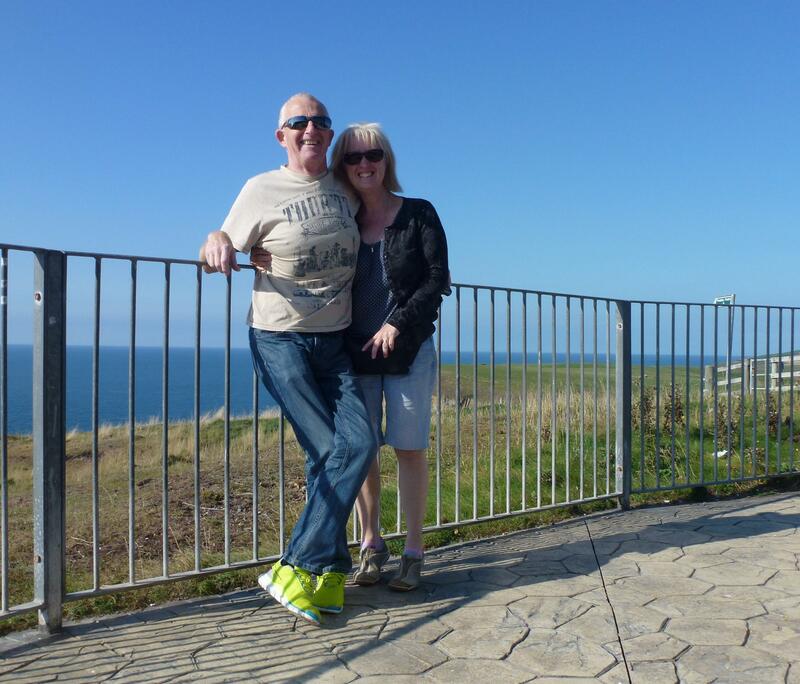 However, as many very old people off a coach trip were clambering on I decided I would have a go – agreeing if it was too bad we would walk the 500 metres down! All starts off fine, then it leaves the hut and its very, very high. Just as I find my height skills it stops! It really does stop, every few minutes for 20-30 seconds where it just sways over the drops, terrifying, this is apparantly to allow them to load and unload supplies. Arrival at the top makes it worth the sheer terror as even in the low cloud the views are awesome. From the top of the gondola there are several chair lifts that go higher into the mountains (luckily none of these were running today). 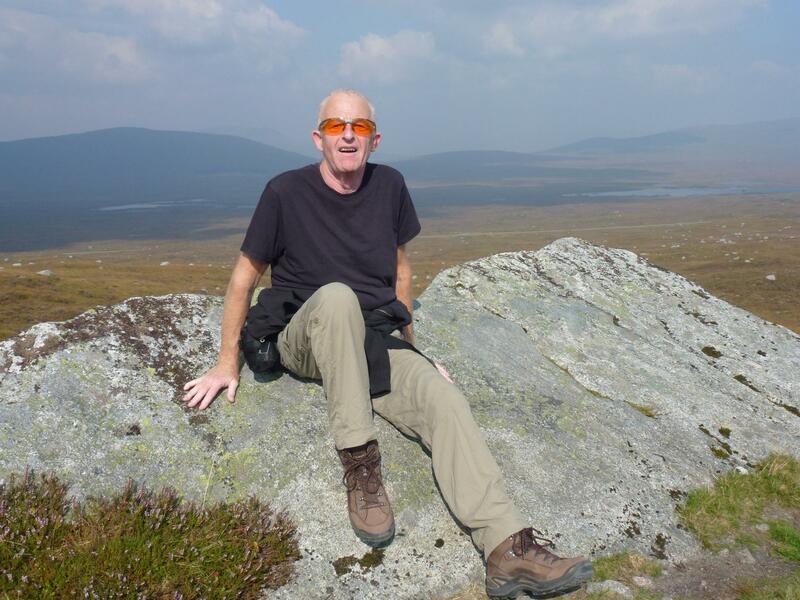 There is a marked walk to Sgurr Finnisg-aig viewpoint which at 2175 feet gives views for miles, its an easy climb and really worth doing to see the scale of the mountains ranges. Back over at the gondola is a really popular mountain restaurant, the Snowgoose, we opted to go out on the balcony and watch the mountain bikers starting their descents, before taking the gondola back down to the carpark and back into the sunshine. 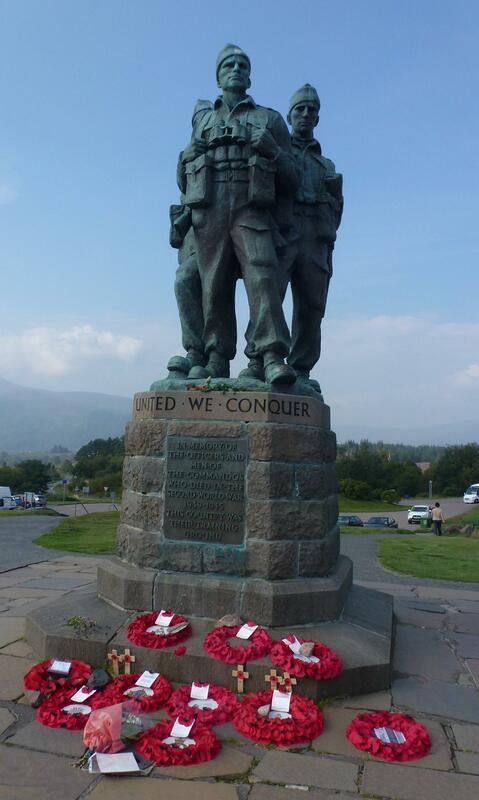 We followed the Great Glen Way on our way up to Loch Ness, stopping for a few minutes at the Commando memorial at Spean Bridge. We have passed this several times on our trips but never stopped before, a very fitting monument to the commandos that gave their lives in World War II, always more than a little sobering to pause and remember how lucky we are to tour around at will due to people giving their tomorrows on our behalf. 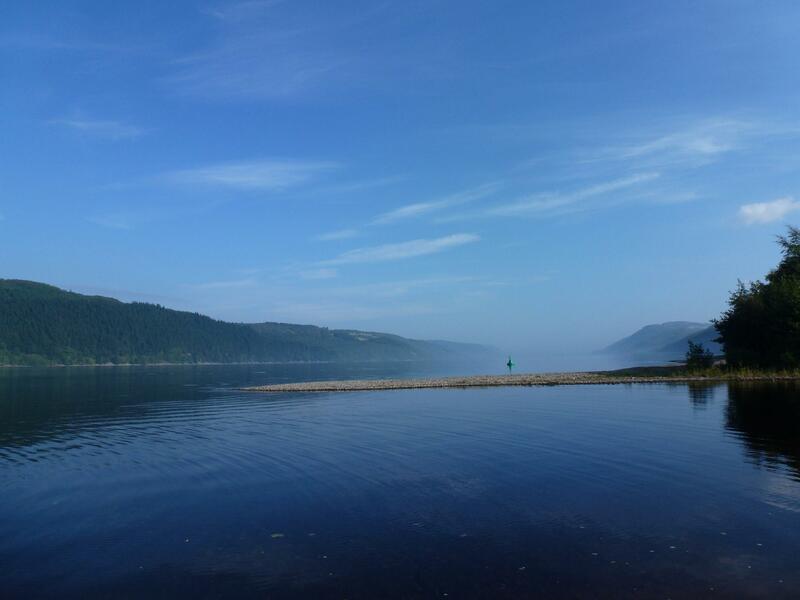 Final part of our trip for the day was to head for the new Camping and Carvavan Club site on Loch Ness. We chose this site as its on the South side on the Loch and we have never visited that side of the loch before. 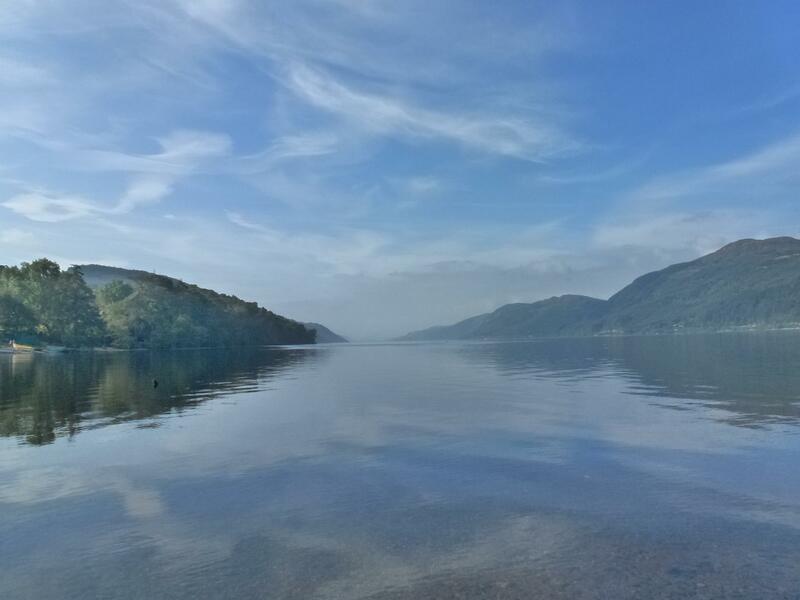 We drove along Loch Lochy which could not have looked more amazing than it did with the sun shinning on the still waters and were both saying how the views could not get any better. Of course then they did, we took the B862 which has to be one of the unsung heros of Scottish roads with a view. The road climbs high into the mountains with peak after peak stretching out in front of you. We stopped at Suidhe viewpoint to take photos (which never do justice) and both voted this one of the most scenic roads we had driven in Scotland. From there it was a slightly twisting and turning road down to Foyers where our campsite awaited for the next few days, settled in, currently midge free and if we crane our necks we can just see Loch Ness from the pitch :). Time for our annual pilgrimage up to Scotland, being used as our ‘shakedown’ trip to check out everything in the van before we head off to Europe in November. We have the awning back on the roof now in full working order, so hoping for some good weather to try it out. A fantasticly quiet run up the M6 and onto the M74 without a delay in sight. It was all going far too well, so we decided to call it quits whilst we were ahead and stop overnight at Moffat C&CC. Pulled onto the site to be told they are totally full – a weekday in September but the good weather was bringing in unexpected high numbers of campers, so that was us out of luck. Wardens told us that Strathclyde CC site was an hour and a half away – not sure which route they use, it was 40 minutes straight up the motorway. Luckily plenty of space and a really lovely site less than a mile from the junction. We stayed here before as a good base to visit Glasgow abut this time it was just a convenient stop to get some sleep, the motoroway traffic did not bother me one bit, Iain was awake most of the night with it! We set off early on this morning for Loch Lomond, slight navigator error as I took us through the centre of Glasgow, whereas the new motoroway now avoids the city centre traffic. However extremely thick fog meant you couldnt see a thing where we were anyway, Iain didn’t know we were in the middle of the city as the visibility was less than 100 yards in places, I should have kept quiet and he would never have known we weren’t on the right road. We crossed the Erskine Bridge and things were looking a little brighter but Loch Lomond was shrouded in a very low mist. We parked up at the Duck Bay Marina but after 10 minutes gave it up as pointless as the view was pretty much nothing. As we headed North and higher up towards Crianlarich the sun started breaking through and at we turned past the Bridge of Orchy Glencoe was beckoning in blue skies and just the odd wisp of mist around the mountain tops. By the viewpoint there was definite sunshine and we joined the throng of holiday makers taking snaps down the glen. We are overnighting at the Glencoe Ski centre as they now have motorhome pitches outside the cafe, just below the chair lifts. There are only 2 motorhomes here but the log cabins are all occupied by walkers doing the Highland Way. The pitches are really just gravel parking spaces but you get an electric hookup, use of the loos in the cafe and there are some showers at the top of the carpark for £1. 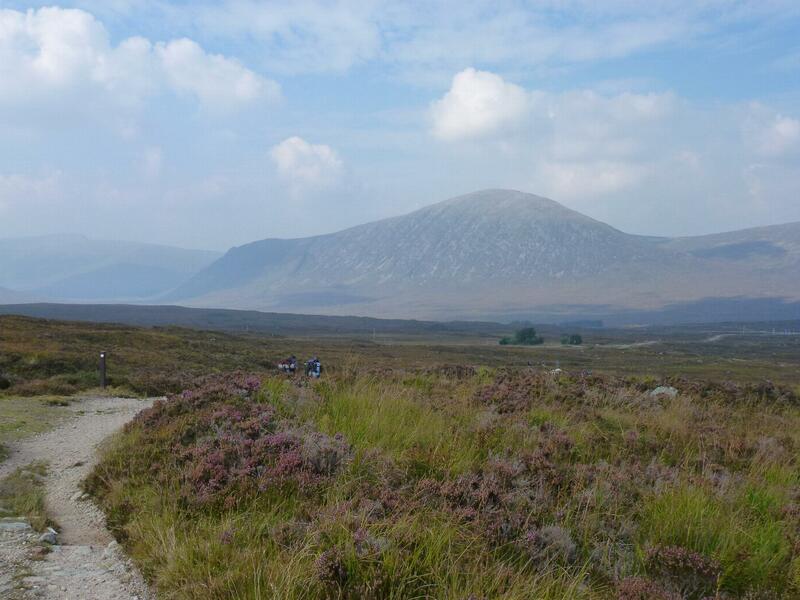 The best bit though is the views – we are looking down the Glen and far enough up away from the road that you cannot hear any road noise, this has to be one of the best views from our campervan we have had. This afternoon we decided to join the many and took a walk on the Highland Way between the Ski Centre and the Bridge of Orchy. The path here is an old drovers track so easy to follow and well maintained. We were amazed at the numbers of people out in the middle of nowhere doing the walk. The majority walk the 97 miles from South to North, we were walking in the opposite direction and passed at least 30 walkers in under 2 miles. It is easy to see the attraction, mile after mile of incredible scenery through some of the most remote places in the country. We managed just over 4 miles and called it a day. The walking itself wasn’t too bad, however 22 degrees in Scotland walking in mountains is wrong in so many ways, the main one being the national animal of the Scots – the midge. Back at camp and sitting a bit too smugly watching walkers hobble along to the cafe for some much needed refreshments before they are taken off by minibus to their guesthouses or they pitch their tents. The cafe here does a full cooked breakfast so we plan to sample that in the morning, then if the weather is clear we are going on the chairlift to the top of the mountain to experience the view of the whole range, from there its off to Loch Ness to do some monster spotting for a few days. Well no eagles seen sadly, the cloud cover was low this morning so we thought we would move on. Well where better in low cloud and mist than Glen Coe! To be fair even in crap weather it is still fairly awesome. The mist just adds to the feeling of being a million miles from anywhere. We stopped off at the Glencoe Ski Centre for a toast and coffee break. Half the car park from cordoned off awaiting a broken down army search and rescue helicopter just down the road being airlifted to the carpark by Chinook. Sounded worth waiting for but after a while nothing was happening so we headed on our way. The long drive down from Crianlarich was fairly dull and misty, broken by a delay at the north end of Loch Lomond where the road appears to have collapsed into the loch on one side so its one lane only. As always it takes forever to drive down the loch but the views are worth it. At the bottom of the loch we stopped at Balloch to stretch our legs and wander round the shops. The campsite at Balloch wanted £26 for a night so we decided against staying as that is what we commonly call a ‘bloody rip’ off. We headed down over the Erskine Bridge and straight through Glasgow on the new motorway. South of the city we were starving so pulled into the services to make bacon butties and buy a couple of Costas. 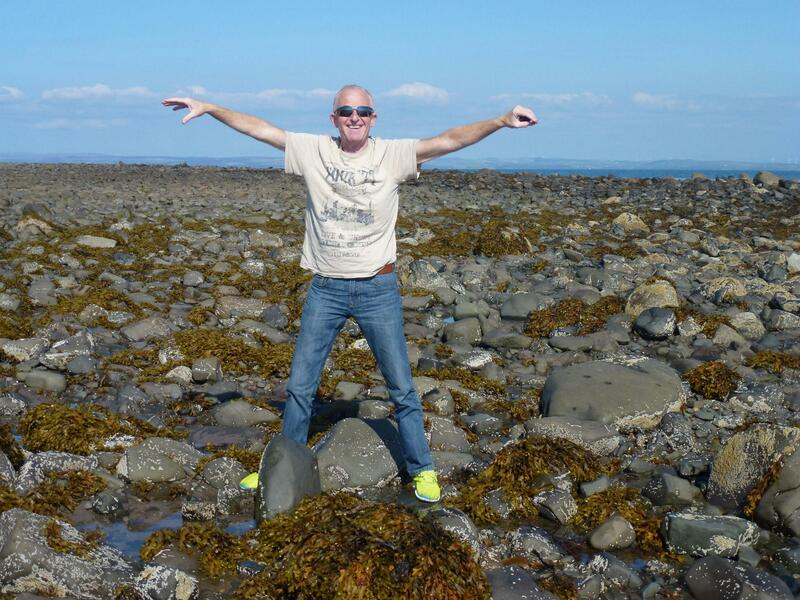 The nearest campsites by now were Moffat or Ayr so we plumped for Moffat. We arrived at tea time and quite surprised to see a site so full but they squeezed us onto the back of the site. As its only 2 or 3 minutes from the town we walked in for a few bits and stopped off for a pint in the Star hotel.